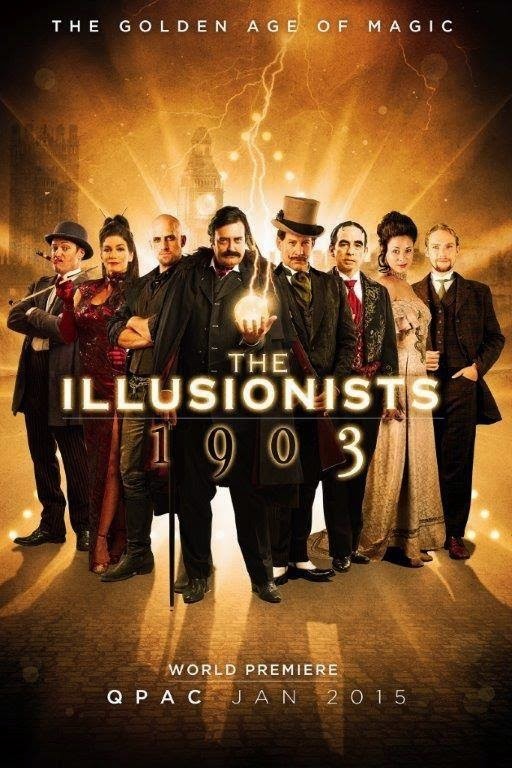 The Illusionists 1903 is the third troupe of magicians from the show The Illusionists. This troupe is made up of Victorian Era Acts or acts that 'could have' been from that time I should say. We auditioned for the show but were not selected. Perhaps as the show progresses and they need a replacement, maybe we can once again try out as this show is made for us. I'm not 100% on this but it appears the acts consist of Mark and Jinger Kalin, Rick Thomas (sporting a mustache), Armando Lucero, Jonathan Goodwin (the only none magic act), Charlie Frye and then two performers that I don't instantly recognize (though I think I might know who they are but I don't wish to miscall them). That certainly makes up an interesting troupe and one very different from the other two shows. The moment they get a Facebook Page or website for the show, I will post it here as I wish to do all I can to support their efforts. Victorian Magic is my middle name, well actually it's Alan, but you know what I mean. The show opens in January at the Queensland Performing Arts Center in Australia. Below is the first commercial video for the show.